In 2006 the Danish newspaper Ekstra Bladet began an investigation into the curious rise of the Icelandic bank Kaupthing, which had come from a small community on a volcanic island and become an unlikely giant, buying assets across Denmark. The paper found that the bank had links with Russian oligarchs and tax havens and, more worrying, may have overstretched themselves. 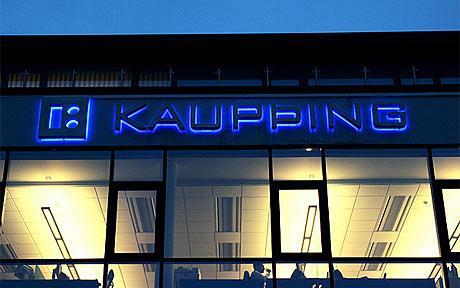 Kaupthing sued them. The paper defended its journalism, and the Danish Press Council rejected the bank’s complaint. But then the bewildered Danish editors were informed that the bank was now suing them – in London, which because Bladet was available in Britain (thanks to the internet), they could do. The newspapermen came from a country where a £25,000 libel suit was considered expensive, but soon racked up legal costs of £1 million in London before the case even came to court. Ekstra Bladet agreed to pay substantial damages to Kaupthing and print an apology. At the risk of winning the Order of the Brown Nose, Cohen is perhaps the most insightful, thought-provoking and entertaining political writer in Britain today, and comes from the honest tradition of English liberal thought that threads from John Milton to John Stuart Mill and George Orwell; for that reason he has fallen out with the dishonest liberal tradition, a split that began with the fatwa issued against Salman Rushdie on Valentine’s Day, 1989. He has that rare trait of being fair to all parties, refreshing in the tribal atmosphere of political debate, which has no doubt angered sectarians on his side.